FRANZEN 6000 Locking Handle, Locking Swing Handle for Cabinets – Franzen International Security Products, Inc. This handle offers a low cost solution with high security. 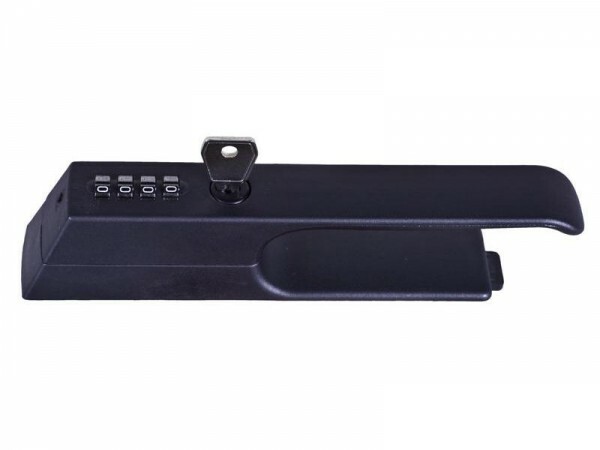 The four dial combination lock (10,000 possible combinations) ensures an individual this security. Each individual sets their own combination and it is not necessary to have duplicate keys. This also eliminates the ongoing problem of lost keys. The combination can be changed as often as desired. For example it can easily be changed at the end of each shift or day.You will note however that the handle does have a key cylinder. This is for a master key and can be used to override the combination in the event that the manager or foreman needs access and the individual who has the combination is not available. A special tool is available that would allow the person in charge to find the combination and reset it back to “0000” if that would be necessary. 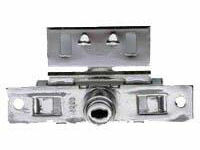 This handle has a 180 degree swing which makes it adaptable to both left and right hinged doors. It also has a feature that will allow the handle to be closed when the dials are not on the combination. We call this rapid fire closing.